In the hospitality industry success depends on the reputation and satisfied clients that return repeatedly to the hotel or resort. To keep and increase the level of loyalty, hoteliers need to consistently exceed guest expectations and strive to deliver exceptional experience for every guest. Since mobile and wireless solutions have become an integral part of the daily life, user-friendly mobile sites and mobile applications have turned nowadays into must-have tools for businesses that help them streamline processes and increase productivity. Hospitality apps for smartphones like BlackBerry, iPhone and Android as well as tablets can reinforce the relationship with customers. Furthermore, having an application sends a strong message to the general public that the hotelier is up to date with the latest trends and that its services are of high quality. Hospitality industry experts say that hotel owners should invest in technology, since mobile bookings and online research will only further increase, which is believed to translate into strong growth in hotel profits. While the number of ready-to-go apps and products is growing, a custom software solution for a hotel will always have its advantages. According to TripAdvisor 2012 Industry Index survey, 47% of global respondents (accommodation owners and managers) plan to offer a program using mobile devices (e.g. mobile apps, special offers and booking on mobile devices, etc.) to engage with travelers in 2012. 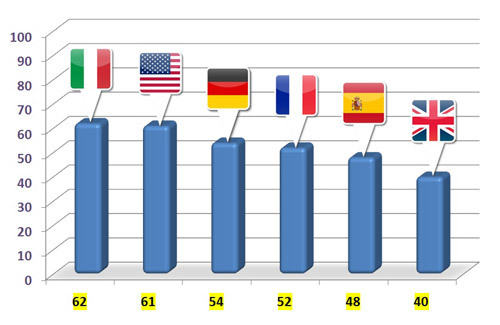 In the Latin America region this figure is 50%, in the Asia-Pacific region — 53%. QR-code scanner to provide users with in-hotel experiences and offers. 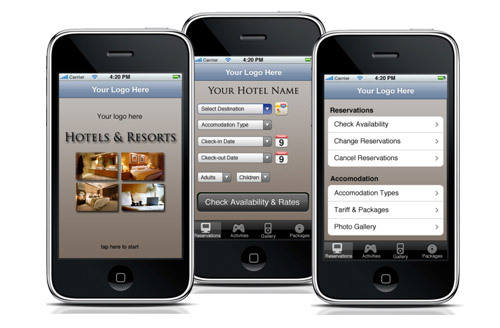 However, it is not enough to only create a mobile application; hospitality businesses should take care to promote it. In order to encourage people to download apps, hotels can use different incentives, such as discounts for services, special offers, etc. Information about mobile apps can be placed on the hotel's website, in booking confirmation e-mails, social media channels, on brochures, flyers and other marketing materials. There's more than enough evidence for the hospitality industry to take advantage of custom mobile applications. In some years handsets are expected to become the primary customer touch point for the majority of hotels. Some hotel chains like Accor, Hilton, Hyatt, InterContinental, Marriott, Sheraton, Ritz-Carlton are successfully using apps already. Even some travel websites have rolled out hotel reservation applications.